After two years' travel abroad following graduation, Frank Barnwell and his brother Harold built a total of three aircraft in the years 1908-10. 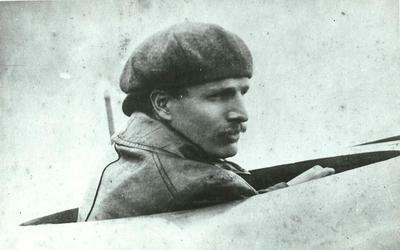 Frank joined Bristol Aircraft in 1911, enlisting in the Royal Flying Corp after war broke out. Aircraft and pilot losses were high and the British aircraft were clearly inferior to the German ones. In 1915 he was sent back to Bristol as Chief Engineer. Aircraft design involves balancing a number of potentially conflicting design requirements whose treatment and optimisation was not understood at the time. Barnwell laid out the seven consecutive pivot points of aircraft design in a paper read to Glasgow University Engineering Society on 5 November 1914, (published as a book in 1916). The resulting Bristol Fighter became a legend almost as soon as it arrived on the Western Front and 2600 were built. His importance is laid out in an article by the Curator of Aerodynamics at the US Smithsonian Institution: "Frank Barnwell established the intellectual thought process that underlies the methodology of conceptual airplane design to this day." Born 1880, Lewisham, Kent, England. Frank Sowter Barnwell (1880-1938) was a graduate of the University who, in partnership with his brother, went on to achieve the first powered flight in Scotland. Barnwell was born in Lewisham Kent in 1880 and later moved to Balfron, Stirling. His father, Richard, was a Managing Director at Fairfields Shipping and Engineering Co, Govan. He was educated at Fettes College in Edinburgh and first matriculated at the University in 1900 to study Natural Philosophy and Chemistry. He returned for his second session in 1902 studying Naval Architecture and Engineering. He received a BSc in 1905. After two years travel abroad following graduation, Frank and his brother Harold built a total of three aircraft in the years 1908-10. They achieved the first powered flight in Scotland at Stirling on July 28, 1909. 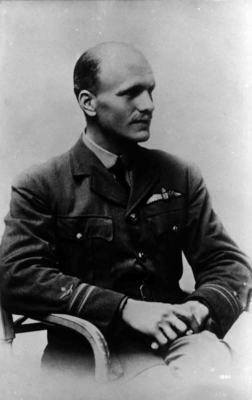 Frank joined Bristol Aircraft in 1911, enlisting in the Royal Flying Corp after war broke out. Aircraft and pilot losses were high and the British aircraft were clearly inferior to the German ones. In 1915 he was sent back to Bristol as Chief Engineer where he achieved fame as designer of the Bristol Fighter. Tragically Barnwell died in a flying accident in 1938 while testing out one of his new designs. Anderson, J. D. 2006. Airplane design methodology: Setting the gold standard. AIAA Journal. 44: 12. Barnwell, F. S. 1916. Aeroplane Design. London: McBride, Nast & Co. The Barnwell brothers successfully flew their car engine powered biplane at Causwayhead in Stirling. The Barnwell brothers successfully flew for more than a mile, the first Scottish plane to do so. The Harold and Frank Barnwell Memorial is unveiled. A memorial to the Barnwell brothers was unveiled at Causeway Head to mark their great achievements. World Changing Project, "Establishing fundamental principles in aircraft design," in University of Glasgow World Changing (University of Glasgow, 2010); http://www.worldchanging.glasgow.ac.uk/article/?id=4 (accessed April 26, 2019). World Changing Project. "Establishing fundamental principles in aircraft design." In University of Glasgow World Changing. University of Glasgow, 2010. http://www.worldchanging.glasgow.ac.uk/article/?id=4 (accessed April 26, 2019). World Changing Project. "Establishing fundamental principles in aircraft design." University of Glasgow World Changing. University of Glasgow, 2010. 26 April 2019 <http://www.worldchanging.glasgow.ac.uk/article/?id=4>.